In a candid early morning conversation, Diana Nicklaus, President and CEO of SAAM, shared with us her story of how she founded her own firm. Diana has practiced architecture in USA and Italy and her portfolio includes high-profile, large-scale institutional projects. 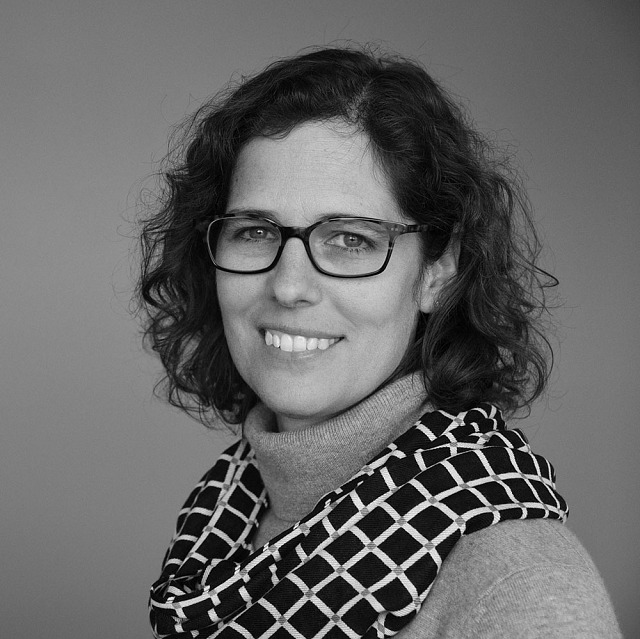 Having worked in a diversity of architecture firms across the country, Diana has collected acute observations on the state of the design field. She is continuously pushing the envelope on office policies that are progressive towards flexibility and motherhood. Take a look at what Diana has to say! My mother thought I should be an architect, which was not ultimately why I became one, but I did follow her advice to get a Liberal Arts degree before I chose a profession. I was fortunate to meet architectural historian Margaret Henderson Floyd while at Tufts University, who created a wonderful pre-architecture track. I received an Art History degree but fulfilled the credit requirement through architectural history classes and minored in Urban Studies. I then went back to my home state of Texas to study architecture at the University of Texas in Austin. How did your become the President / CEO of SAAM? Following graduation, I moved to New York City and started at Pei Cobb Freed, which gave me first-hand experience with the culture of traditional high-design firms. After two years of a very static environment, I transitioned to Gensler when its New York office had 400 people. I was again fortunate to be under the leadership of a very bright woman, Maddy Burke. Maddy was a critical role model for me, as she ran a studio with high-profile clients, worked a non-traditional schedule in order to spend time with her young son, and engendered a strong studio culture. Following my time at Gensler, I moved to Italy for two years and worked for a Venetian architect as well as the Architectural Biennale. Returning to the United States, I spent five years in Cleveland, working for two very good firms that bolstered my technical knowledge and provided some leadership opportunities. It was during this time that I also started a family. When I moved to Boston, now 9 years ago, I had two small children and interviewed with seven firms. It was early 2008 and the job market was strong. While interviewing with some of the larger firms, I inquired about the potential of working remotely. This was consistently a fascinating topic, because most firms were hesitant to trust a new employee with this type of access. Finally, I interviewed at Burt Hill and Koos Louw – now my partner - said, “Everyone here is given a laptop and VPN access.” He also explained the concept of flexible schedules, which appealed to me as it made the challenges of a long commute and young children much easier within the context of my career. After a few years at Burt Hill, the firm was acquired by Stantec, where I was promoted to Senior Associate and then a Principal. The lack of women in Stantec leadership presented opportunity – but I realized that this opportunity was limited in a firm that continuously acquires new firms and leaders. Koos and I left Stantec in 2014 and started SAAM. What were your biggest challenges so far and how did you overcome them? Within the architectural profession, there are many obstacles to advancing one’s career, notably the fact that traditional architectural culture does not support the concept of self-directed advancement. I have best navigated this specific obstacle by leaving entrenched environments for those that provided growth opportunities working with leaders whom I respected. What type of changes have you observed in the architecture field? For my generation of architects, the changes in technology have been substantial. When I worked at Pei Cobb Freed, five people in the firm of 120 had an email address, and I was not one of them! The way we communicate about design, and the supporting technologies are radically different. By the time I finish my career, I predict we will all be well versed in augmented realities and similar technologies. In addition to that, I feel like the value of an architect has been reduced. We do not have the same voice in the design or construction process that we once did. If you could change a policy in design, what would it be? I think the way architects are compensated could be revisited. As I said before, I believe we are not valued, and in some ways it is our own fault because of our desire to design and redesign and redesign. The owner does not want to pay for a process that is perceived as being non-productive. All of us in the profession need to advocate for each other because the profession is becoming diminished in ways that it does not need to be. Have you experienced any challenges being a woman architect? I think that is a loaded question! Clearly the profession still presents challenges for women. While great strides have been made, the statistics in our profession are nowhere near where they should be. I am referencing retention, promotion, and compensation equity for women and minorities – as a start. Personally, I have worked in firms with a male-dominated hierarchical culture, and women simply were not viewed as equal partners. Fortunately, those experiences were balanced with other environments where gender was not a consideration. Have you experienced any advantages being a woman architect? I was the first female Principal within the New England region at Stantec, and I felt that being a woman helped me get into that position. Having since started a WBE firm and seen it grow so quickly, I acknowledge that some project awards are due to the fact that we are a WBE firm. We must obviously have the qualifications to do the work, but sometimes it does open doors for the firm. We have mixed feelings about that. You have a unique policy on flexibility and unlimited vacation days at SAAM. Could you tell us more about it? If you are really curious, our entire employee manual is on our website. I have to give my partner much of the credit because he had explored some of these concepts while at Burt Hill. When we started SAAM, we wanted to push the envelope on the whole idea of flexibility and that’s when we looked at unlimited vacation. The reality is, we are all really blending our personal and work lives. We tell people when we hire them that their cell phone is also their business phone—and that number goes on their business card. Most people see the clear benefit of that, but it’s not for everyone. Communication is key, and we have several tactics to assist with that. Monday mornings we have staff meetings - a time when we review all the projects, marketing pursuits, and design processes. We also want people to work when they are at their best, which might be at 5 am or 10 pm. Everyone has life issues to balance, whether it’s children, aging parents, or other commitments. Unlimited vacation goes hand in hand with the flexibility because it is all about maintaining responsibility and ownership of the work. You also have a progressive understanding of motherhood. Could you tell us more? It is so unfortunate that children are viewed as a liability by some employers. We have many success stories of working mothers: one mother left a traditional firm, joined us with a 32-hour week schedule, became a Project Manager for the first time on a $15 million project, and does an amazing job. Another architect left the profession for six years to be with her children, and has returned to practice at SAAM. It is as if she never missed a beat. One of our new Principals, Diana Ostberg, is expecting her fourth child. Why should motherhood slow us down or prevent us from doing the work? For mothers and everyone at SAAM, flexibility works both ways. If you want to go to soccer practice on Tuesday afternoon, go to soccer practice. Take your phone with you, check your e-mail, answer your phone if someone calls you, and if we have a client meeting on a Tuesday afternoon, make sure somebody else can go to soccer practice. We have that expectation and our team understands that. What do you have to say to other leaders about such policies? The level of trust between leaders and the rest of the team needs to change. It is really engraved in the culture to not trust people, to assume they don’t know enough, and that they don’t know where to find the answers. It takes effort from leadership to change that. But I would also say to other leaders who think this is not possible – they are missing out on some serious talent. From your perspective, what challenges are young designers facing today? I think the biggest challenge for a young designer today is understanding how to navigate the profession and recognize what aspects of architecture are just noise. Another challenge is the industry trend to force people into specific sectors. I think it is a disservice to the profession and the individual because one should never have to limit design thinking to a certain project type. What tips would you give to young designers? Ask questions. I asked many questions when I started out and I always felt bad about it, but I now recognize how valuable it was. In addition, I recommend that young designers find a career sponsor. To clarify, a mentor is someone that may or may not be a colleague, who can share their own experience, give advice, and point one in the direction of opportunities. A sponsor can actually create those opportunities. That is probably someone you work with because they are in a position to advocate for your advancement and understand exactly what value you bring to the table. It is someone who really wants to bring you up the ladder with them.